White Rock Lake is a go-to destination Dallas-area runners, cyclists, and paddlers, but frequent flooding makes it a dirty thing. 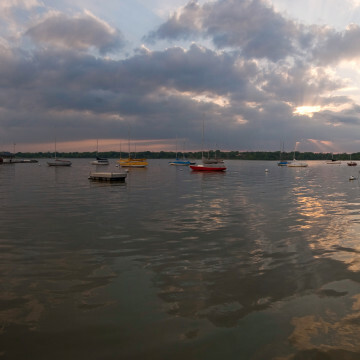 Here's the story of how local groups are helping to protect Dallas' dear and dirty lake. The Colony Shoreline Trail is well-graveled and dotted with benches, trash cans, pet stations, and informational signs. Leash up your dog, hike out to a bench, and watch the sunset (or rise for the early birds) over Lewisville Lake. Walk along the water’s edge for 3.5 miles while enjoying the plants and wildlife.